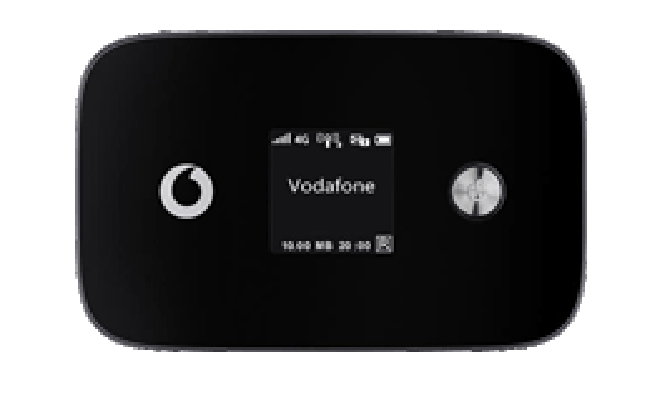 We are not sure whether LTE Category 6 technology is already applied in Vodafone 4G LTE networks, but we are glad to find that the latest 4G LTE Category 6 mobile hotspot is available for Vodafone plan. The model number is Vodafone R226. The Vodafone R226 is upgraded from the predecessor Vodafone R215, which is with LTE Category 4 technology. The R215 could reach peak download speed to 150Mbps and upload speed to 50Mbps. R226 hotspot is much more powerful than R215. The downlink speed of R226 could reach 300Mbps and uplink speed to 50Mbps. The link speed is double of the speed on R215. The appearance of R226 is somewhat like R215, the power button and logo are both besides the LCD screen. They both have two external antenna connectors. The antenna connectors of R226 are covered by a cap while the two antenna connectors of R215 are at the bottom side, but separately. The connectors are for LTE Mimo antenna. Vodafone R226 has much larger power capacity than R215; the capacity is 3000mAh, which could support up to 10 continuous working time. What’s more, the R226 could provide the power charge to other electronics such as smartphones, Pads etc… Just like R215, R226 could also help up to 10 wireless devices to access internet. They provide the wireless network in the 2.4GHz and 5GHz bands. They both could be managed by Vodafone Mobile Wi-Fi smartphone app. As we know, Vodafone R215 comes from the factory model Huawei E5372. This time, Vodafone R226 also comes from Huawei, the factory model is the latest and hottest Huawei E5786 mobile hotspot. Vodafone customized the logo and firmware, then it becomes R226. On one side, there is a Micro USB connector, user can recharge the Vodafone R226 battery, but the battery of R226 is unremovable, so users have to recharge it after it power off. The Micro-SIM and Micro SD card are also at the side of Vodafone R226. 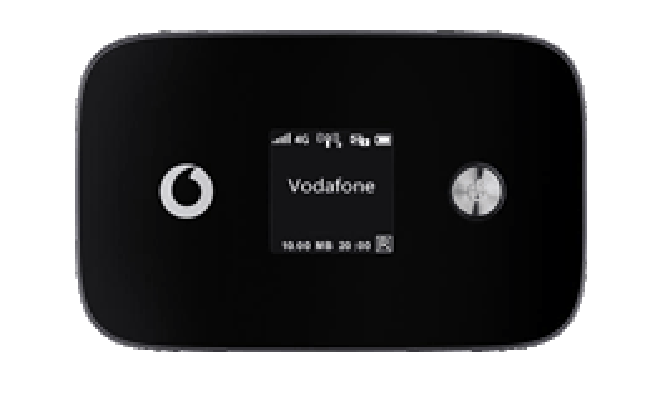 Vodafone R226 is the first LTE category 6 mobile WiFi hotspot. In this year, Vodafone already released the first LTE Category 6 wireless router named B4000. As we know, the peak download speed on Vodafone 4G network could reach 225Mbps now. But we suppose Vodafone will upgrade the network in 2015 spring. The R226 will show its best performance at due time.